FROM April 2006 all wooden pallets must comply with new AQIS Standards for fumigation. These pallets will have to be certified, stamped and will add significant costs to all Australian exporters. The answer is Optiledge. 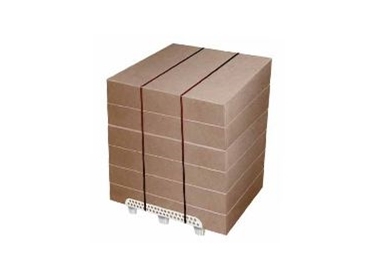 For years, shippers have been trying to force-fit loads onto pallets, when the more logical, effective and economical method is to do the opposite - make the load carrier conform to the size and shape of the goods being shipped. The revolutionary OptiLedge system makes use of a lightweight, L-shaped unit load transport device - the OptiLedge – as an alternative base for unit loads. The OptiLedge is integral to the packaged product during its storage and distribution. Available from Australian Warehouse Solutions , Optiledge is food grade suitable and totally reusable.